PA agricultural organization, with aid of Norwegian People's Aid, plans to plant trees throughout Area C to cut off Jewish communities. The Union of Agricultural Work Committees (UAWC), considered the leading agricultural body in the Palestinian Authority, declared that it would plant trees on thousands of acres in strategic parts of Area C of Judea and Samaria, the area which is under full Israel control according to the Oslo Accords. "This is a reaction to Trump's decision declaring Jerusalem as the capital of the Israeli occupation state, which was accompanied by a declaration by the occupation government to build more than 14,000 housing units in Jerusalem," the organization declared. "The required response to this crime is to strengthen Palestinian steadfastness on the ground, and to preserve the lands that are in danger of seizure and confiscation," the UAWC added. The UAWC stated that its program would focus on several strategic areas: eastern Jerusalem, the Bedouin communities in the Ma'aleh Adumim area, and the E1 corridor, as well as other areas between Jerusalem and Jericho. In addition, trees will be planted between Jerusalem and Ramallah. The project will also feature the goal of creating an agricultural wedge between Betar Illit in Gush Etzion and Jerusalem, between Betar Illit and the center of Gush Etzion, and agricultural activity in the eastern part of Gush Etzion known as the Tekoa region. The UAWC plans to fight "settler attacks" in Samaria by planting trees in ​​the village of Qusra, where residents recently carried out an attempted lynching against a group of Israeli schoolchildren on a Bar Mitzvah hike, as well as in the village of Urif near Yitzhar. Funding for the operation comes from the Norwegian People's Aid (NPA) organization, which is supported by officials of the Norwegian Labor Party. An agreement was signed last week between a senior member of the Norwegian Labor Party and a former deputy minister in the Norwegian prime minister's office, for the transfer of $20 million for NPA projects in the Palestinian Authority. According to the Regavim organization, the UAWC project is part of the Shorashim program - a comprehensive move by the Palestinian Authority to take over tens of thousands of acres in Area C through agricultural use of state lands. 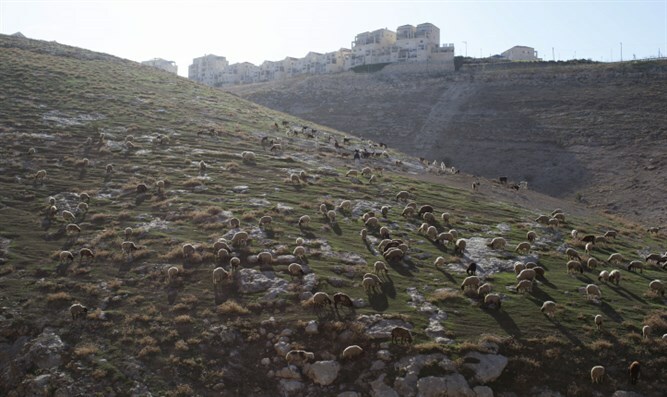 "The Palestinian Authority began [its usurpation] with an approach that progressed house by house, dunam by dunam, and goat by goat, but in recent years it has changed its approach," said Regavim coordinator for Judea and Samaria Yishai Hamo.